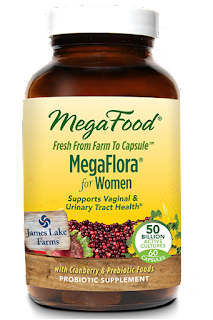 Living a Fit and Full Life: MegaFood Now Includes Non-GMO Project Verified Seal to Probiotic Products! 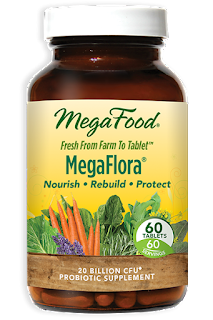 MegaFood Now Includes Non-GMO Project Verified Seal to Probiotic Products! 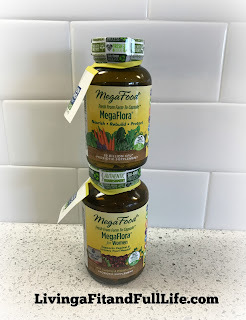 MegaFood's Probiotics are some of the best probiotics around in my opinion and now that they're Non-GMO Project Verified I feel even more confident trusting them with all my probiotic needs. My entire family takes probiotics on a daily basis and it's improved our overall health tremendously. In past years we would catch just about every sickness that was going around, but this year has been totally different. We've been around people with colds, flu and other misc contagious sicknesses and we haven't caught it. My two youngest did throw up once this year but is was extremely mild compared to previous years. 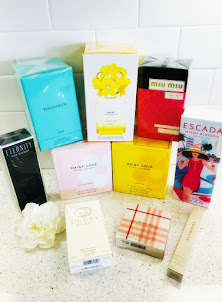 Over the past few years I came to think that we were destined to be sick every other week because during cold and flu season we were sick at least that much. This year we're almost to summer and have been amazingly healthy. I believe taking a daily probiotic has kept our immune systems running smoothly which has enabled us to fight off all the germs and sickness that we've been exposed to over the past few months. Now that MegaFoods has added a Non-GMO Project Verified Seal to their Probiotic products I feel even more confident that ever recommending them!